Drivers for taxi-sharing app Uber went on strike in Britain on Tuesday, demanding higher fares and improved workers’ rights and urging users not to cross the digital picket line by ordering rides. Around 50 protesters staged a noisy demonstration outside Uber’s offices in London after a trade union called a 24-hour stoppage starting at 1 pm (1200 GMT). “Uber, Uber you can’t hide, we can see your dirty side,” the crowd chanted as others blew whistles, someone let off a red smoke bomb and passing cars and cabs tooted their horns in support. “Uber abuses workers rights, they pay below minimum wage and the drivers are in debt,” Muhamed Ali, a 48-year-old driver, told AFP. Another London driver, Mohammad, 41, who did not want to give his surname, had a similar story. “It used to be better — there were more (pickup) jobs. I used to work around eight hours a day, now it’s 13 or 14 hours to make the same money,” he told AFP. The Independent Workers Union of Great Britain (IWBG) called the strike of Uber drivers in London, Birmingham, and Nottingham. “We ask the public to please support drivers by not crossing the digital picket line by not using the app during strike time,” said James Farrar, chairman of the IWGB’s private hire drivers’ branch. In a statement, Uber said that in recent months it had introduced sickness, injury, maternity and paternity protections for drivers. 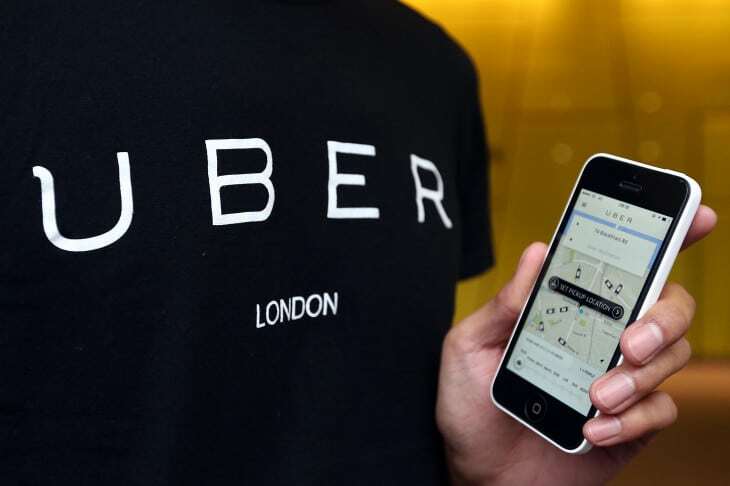 It said a recent study by Oxford University academics found the average London driver earned around £11 (12.55 euros, $14.38) per hour spent logged in to the Uber app, after costs including fuel and Uber’s service fee. The minimum wage for workers over the age of 25 is £7.38 an hour in Britain, while the London Living Wage, a voluntary standard endorsed by the mayor to reflect the capital’s higher costs, is £10.20. “We continue to look at ways to help drivers increase their earnings and our door is always open if anyone wants to speak to us about any issues they’re having,” Uber said. The post Uber Drivers Stage 24-Hour Strike appeared first on Channels Television.